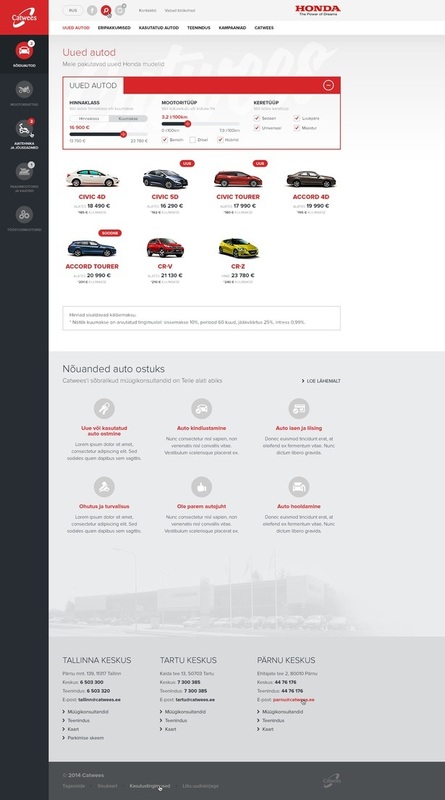 How to fit a grand product portfolio from boats and ATV-s to motocycles and SUV-s into one beautiful website? Challenge accepted. 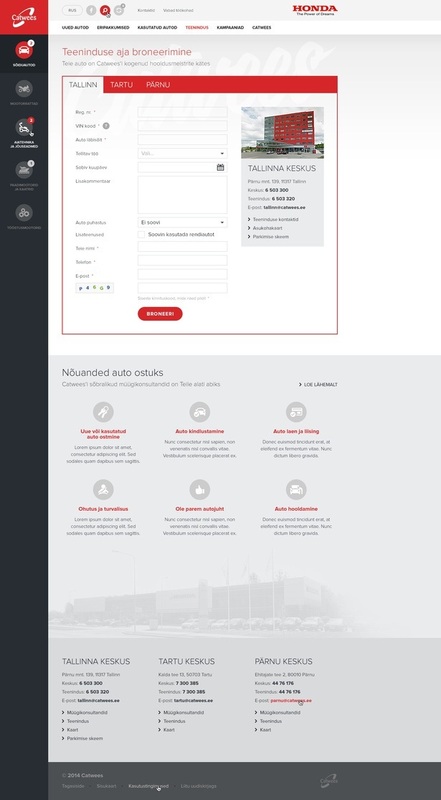 It was about time that Catwees, the leading Honda dealer in Estonia took a step into 21st century. The new website represents all that Honda is about - beauty, quality and mobility. Honda edasimüüja Catwees astus sammu 21. sajandisse - uus veeb sai ilus, kvaliteetne ja mobiilne nagu Honda isegi.